We got on Zillow to see about the progress of our old plot of land in Kirkland and were completely blown out of the water! You have put up an amazing home! I went through the pictures and it is spectacular! Just wanted to congratulate you on a job very well done! We sincerely hope that a family will raise their children in this neighborhood and have the same great experience we had. Thank you so much for reinventing this wonderful area and making it so pretty! We recently had the opportunity to work with DGR Real Estate Development and Michael Roland. We strive to offer exceptional customer service and go above and beyond for our clients and it was amazing to partner with a team that does the same. 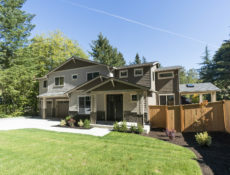 We had been searching for a great new house in the Kirkland area for our clients. We connected with Michael and we were able to view some of their new properties that had not yet been listed. We were impressed to see that while other builders were charging a premium for certain ‘upgrades’ the team at DGR were including the ‘upgrades’ as standard finishes. Michael and the team are efficient communicators, provide all the needed information, and went above and beyond to ensure our client’s house was perfect. We cannot wait to work with them again in the future. I’m a longtime Kirkland resident. I remember when the Marina area only had a JC Penney’s and a Ben Franklin craft store. And the main go to restaurants were the Flame and the Foghorn. I currently reside in the Rose Hill area with my family, where most of the new growth is happening. 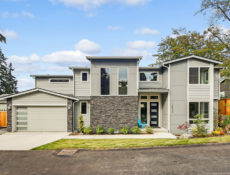 At first, I was resistant to the new homes being built up, but I realized that the new construction, mainly by DGR is absolutely beautiful, raises the value of my home and property. DGR homes are gorgeous and bring a new flair to our Rose Hill neighborhoods! 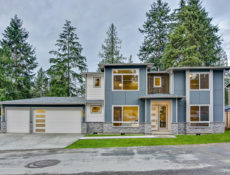 Today I closed on a sale on 124th Ave NE in Kirkland for my Buyer. Started to finish, the service and product my customer and I received from DGR Development and their team exceeded my expectations and my past experiences with new construction sales. My customer, a very detail oriented and experienced Buyer, liked the house from the start. 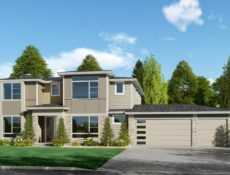 Having sold primarily older homes in my 27 year career, and somewhat biased towards older character, found the floor plan comfortable, unpredictable yet thoughtful, and the house was carefully sited on the lot, unusual, I find, for homes in developments. From the start, our inquiries and negotiation was treated respectfully and timely. Dominique and Michael Roland were very open to ideas and upgrades, and very patient with our requests. Each contractor and vendor on the site was responsive, polite and professional. My customer is very happy and shares my thought on this experience. I am tremendously impressed with the personnel and product that DGR provided and would recommend them to the most discerning buyer. Our house was built by DGR the first half of 2013. We consider ourselves lucky to have found the DGR team and love our new home. The experience of working with Dom, who is very professional, was pleasant and we appreciate the fact that he wasn’t a pushy sales man nor was he dismissive of our wants/needs. He listened and was available to us throughout the process. He was willing to negotiate with us which was also a plus. The gem of the company is Michael Roland (Project Manager). I’m a huge fan of Mike’s professionalism, work ethic, and overall attentiveness. He always responds to calls/texts/emails in a timely manner and I knew things were going to get done if Mike was involved. Building a house is a stressful process and we were by no means easy customers, but despite all the demands we somehow got our house within 5 months of signing papers with DGR. One thing we’d ask for them to improve would be the time it takes to fix the blue taped items found at the walk through. Otherwise we’d happily recommend DGR to others. The service and quality of work is great!